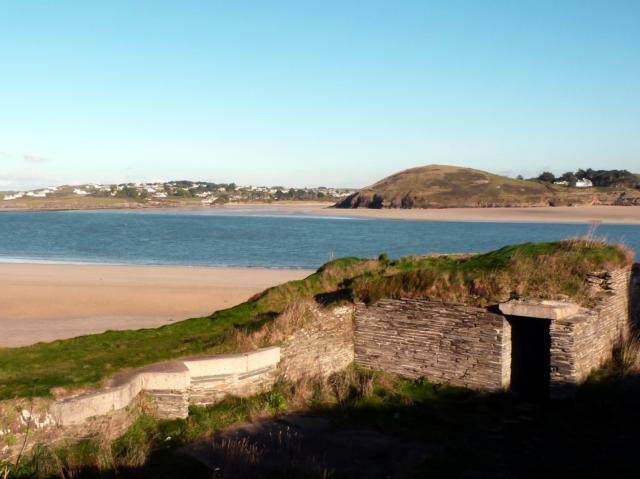 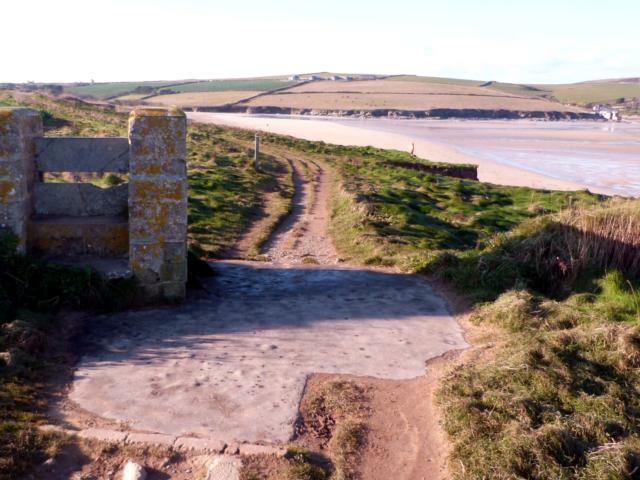 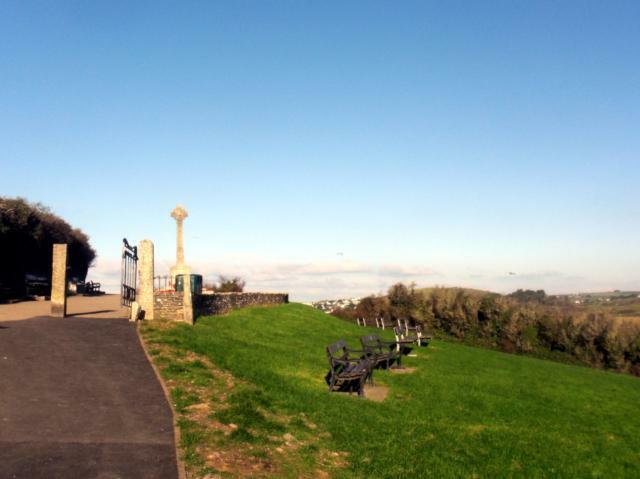 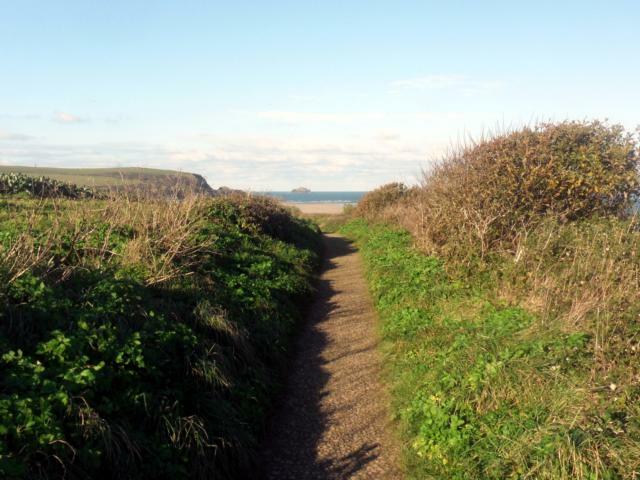 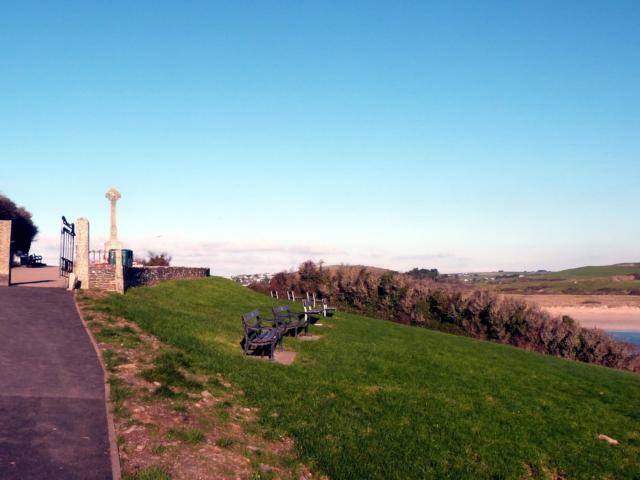 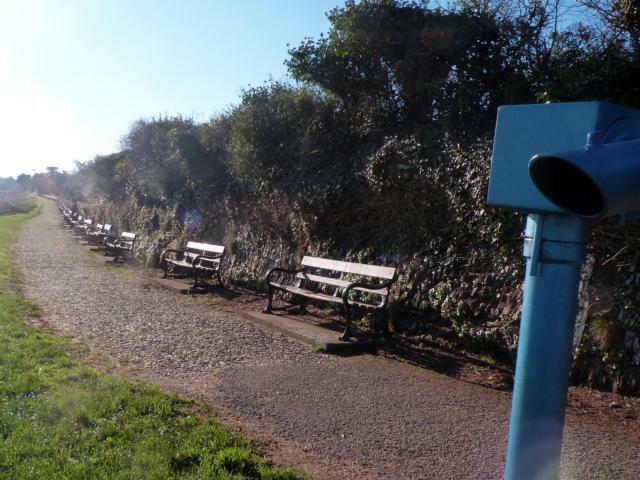 A gentle trail from the popular tourist destination of Padstow, past the War Memorial and out along the South West Coast Path to Gun Point where remnants of Napoleonic fortifications can be seen. 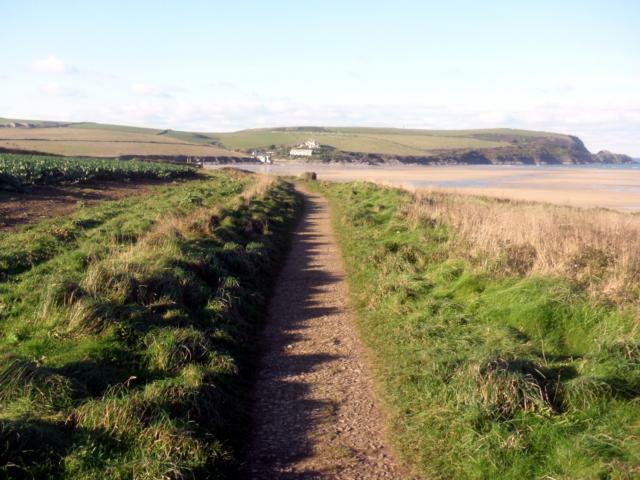 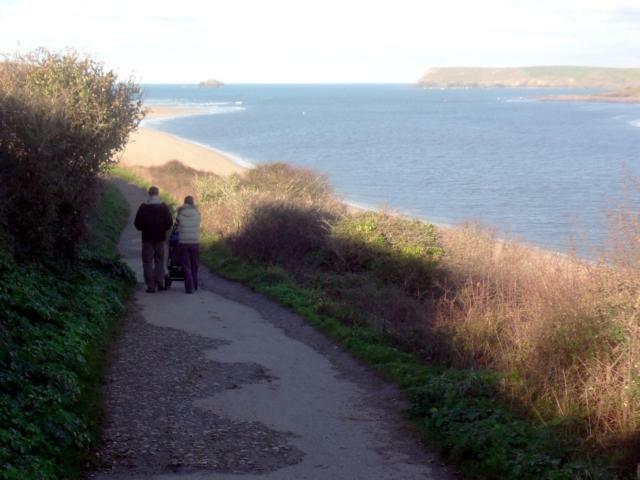 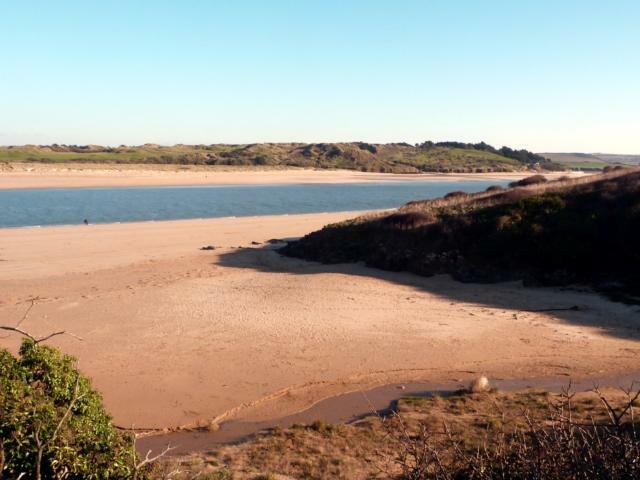 The route follows the Camel Estuary giving views over Daymer Bay, Pentire Point and back along the Estuary towards Wadebridge. 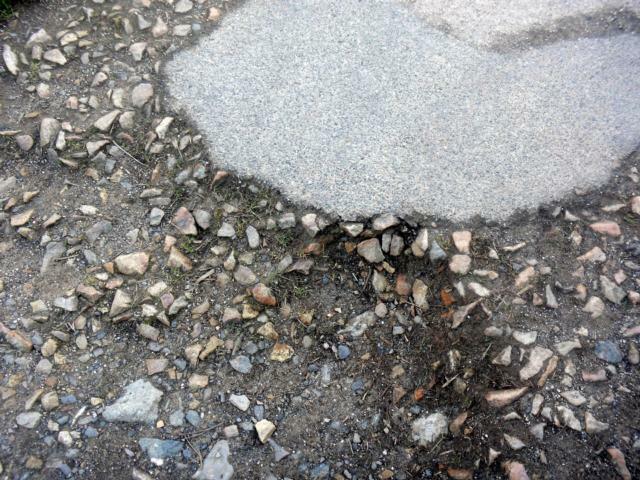 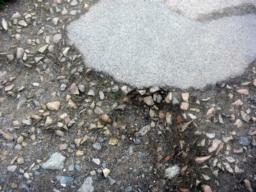 The surface is tarmacadam until St George's Cove and then mixed stones until Gun Point. 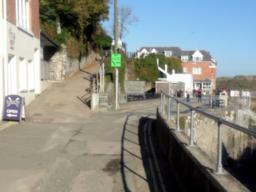 There are a couple of gentle gradients - up to the War Memorial and passing St George's Cove. 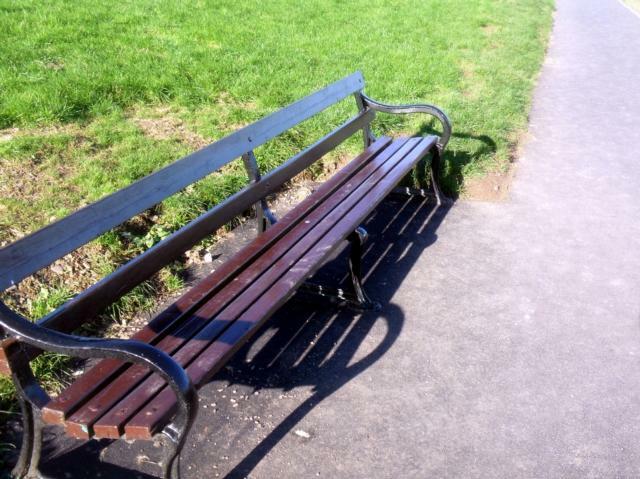 Wheelchairs, pushchairs and trampers will enjoy the terrain. 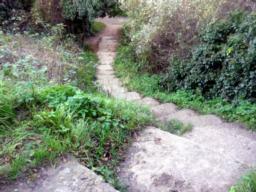 You can turn around and come back at any point. 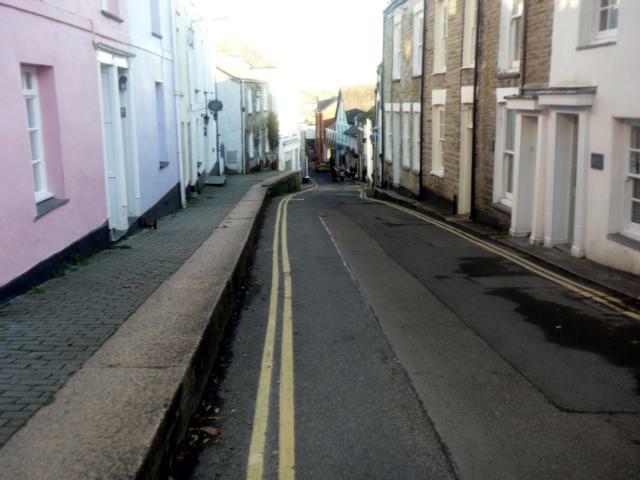 An alternative route back into Padstow past the War Memorial descends on roads back to the harbour streets. 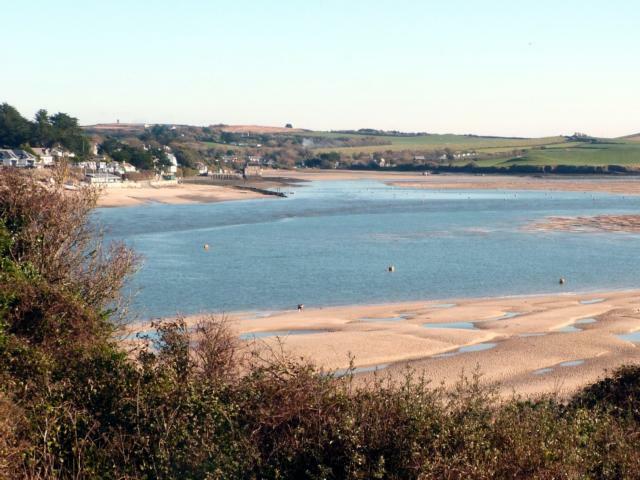 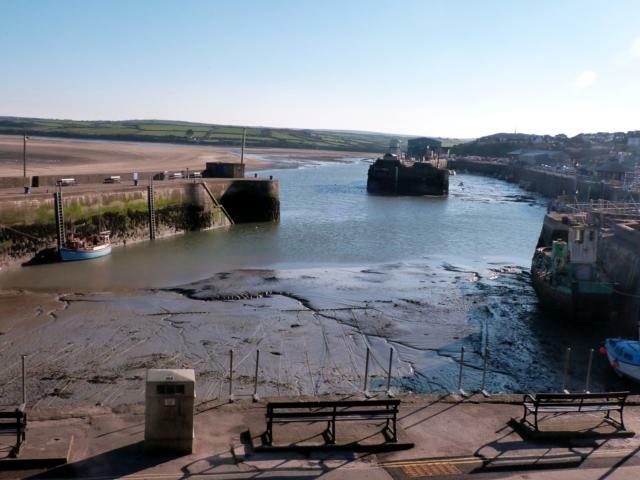 Public Transport: The Western Greyhound 555 bus runs regularly between Bodmin and Padstow, via Wadebridge, stopping at Padstow Bus Terminal, on the main road above the town. 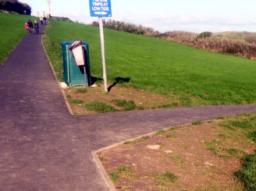 For timetable information visit Traveline at www.travelinesw.com or phone 0871 200 22 33. 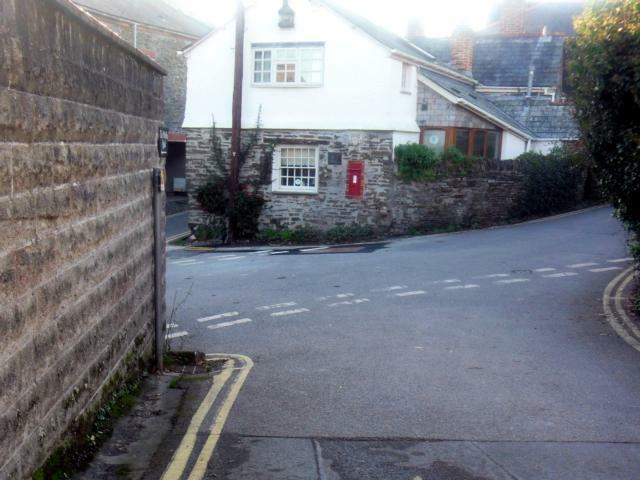 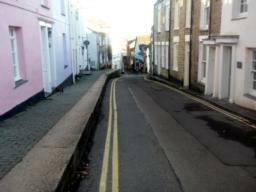 Car Park: Plenty of parking in Padstow. 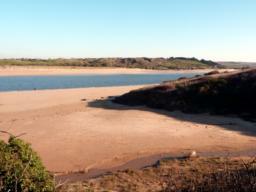 However, Padstow gets extremely crowded in high summer. Toilets: In Padstow. 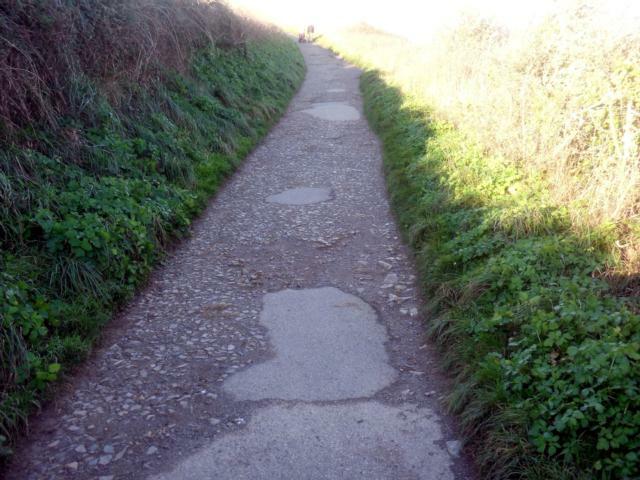 However, you may have to pay to use them! 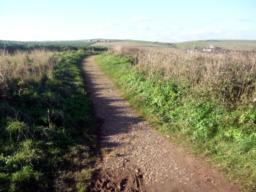 The views on a clear day are lovely. 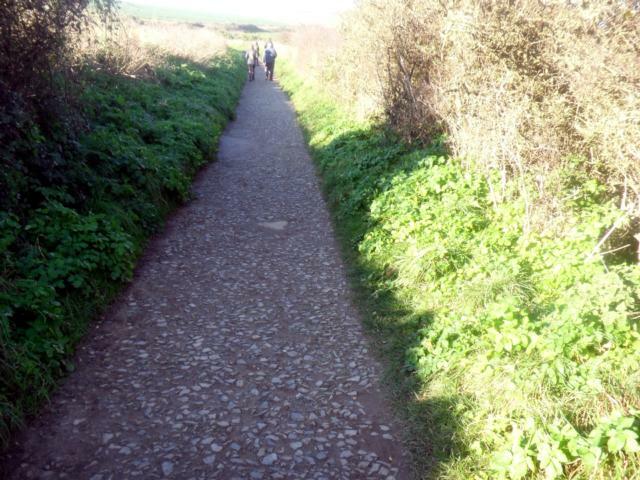 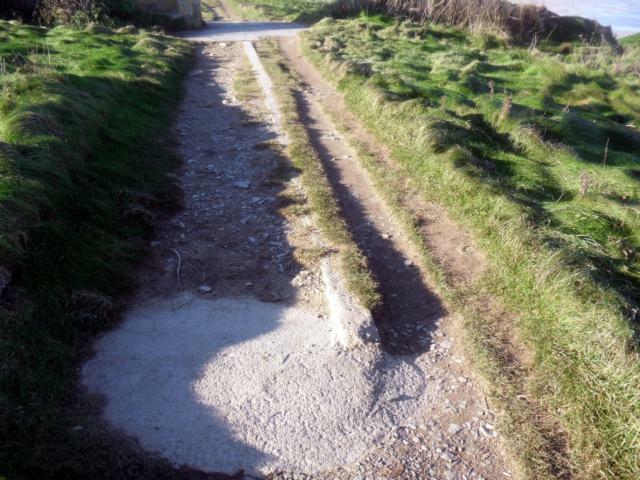 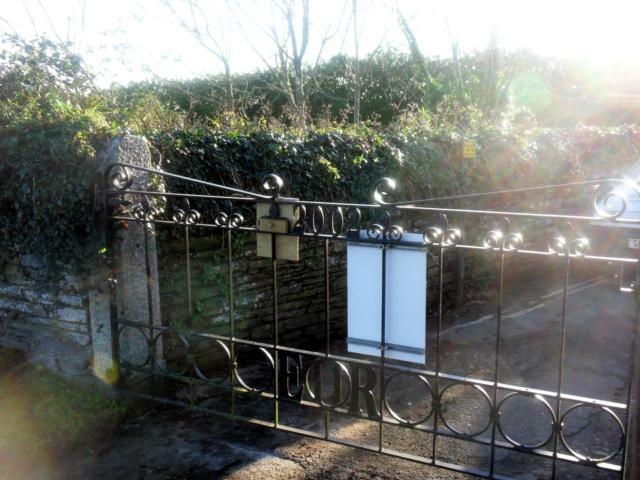 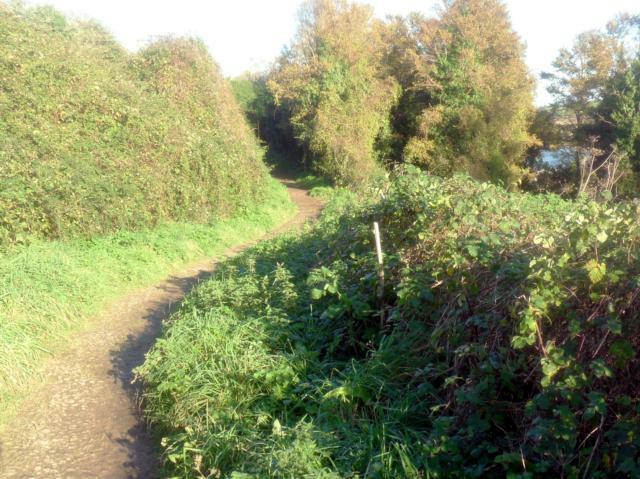 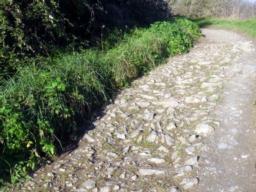 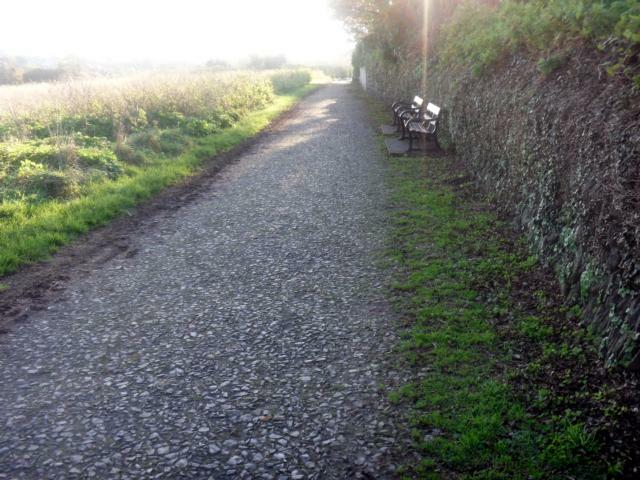 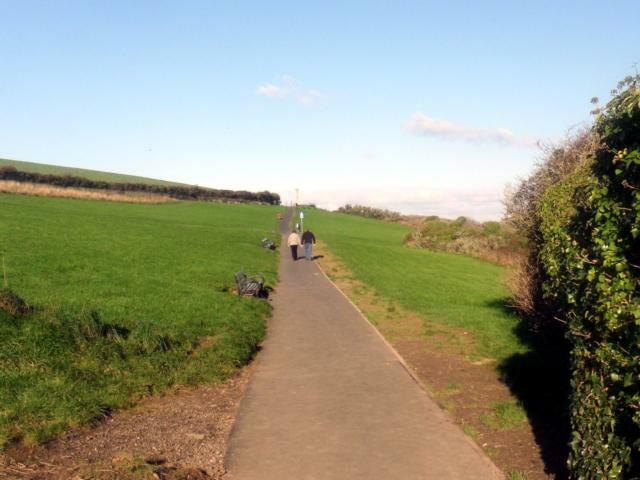 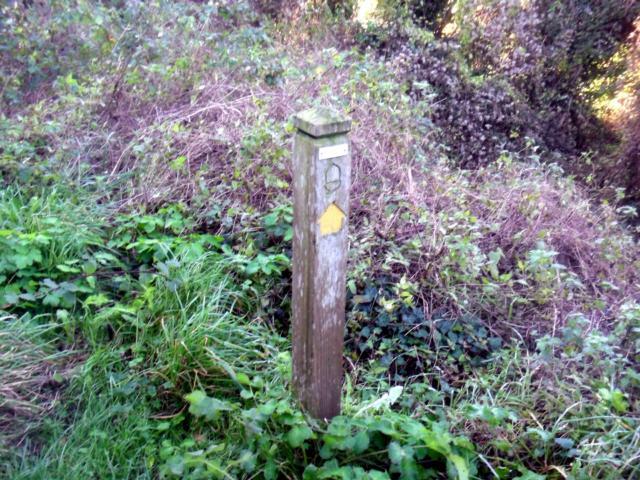 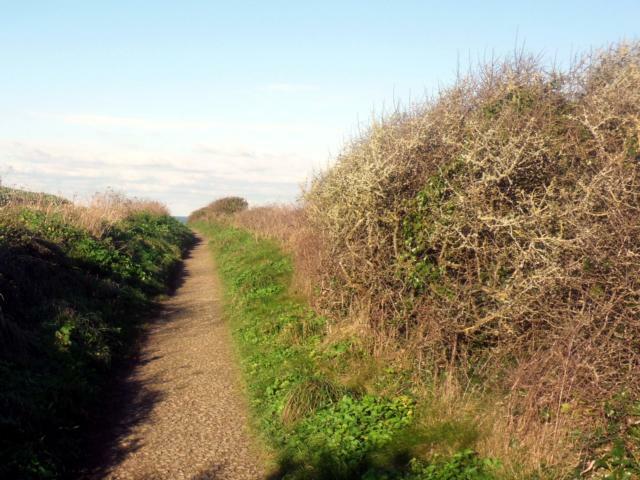 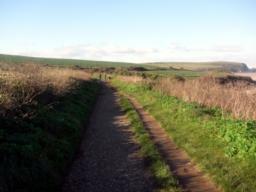 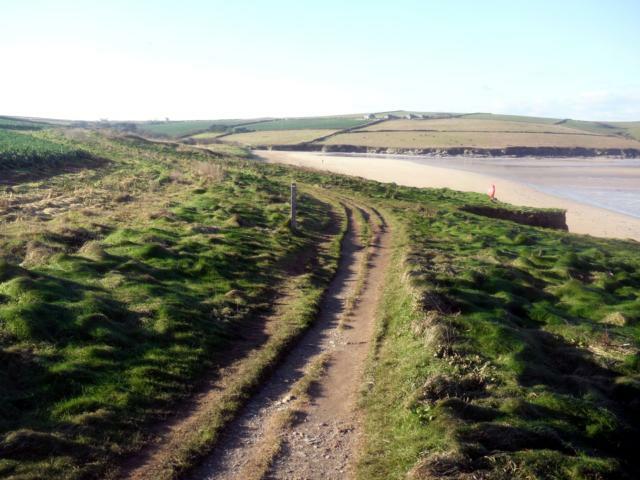 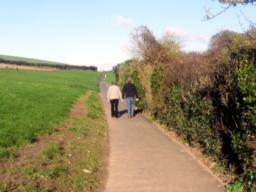 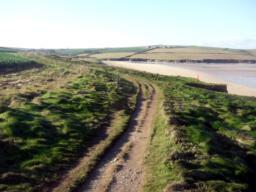 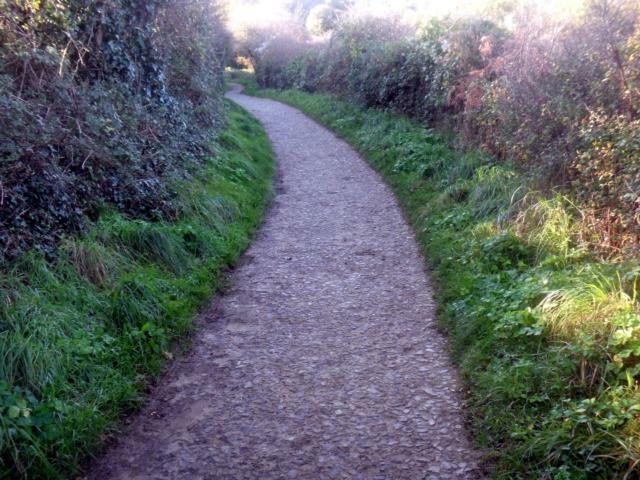 The path has recently been upgraded by Padstow Council. Keep going straight up the hill. 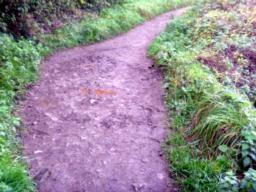 The gradient is never steeper than 1:30. Ignore the path on the right which goes down to the Rock Ferry upper landing stage. There are plenty of seats all around this area. 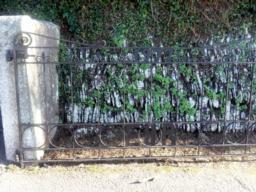 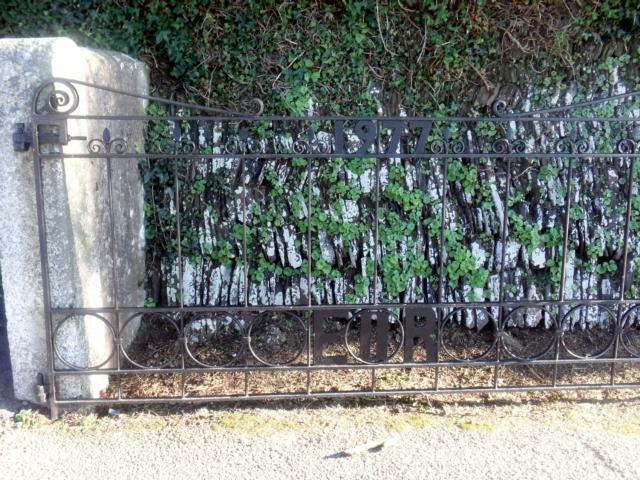 This gate is normally kept open. 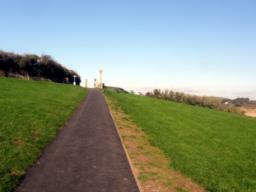 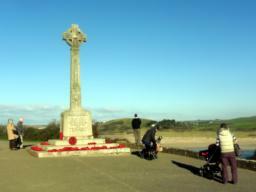 The War Memorial provides wide-ranging views over the Camel Estuary. 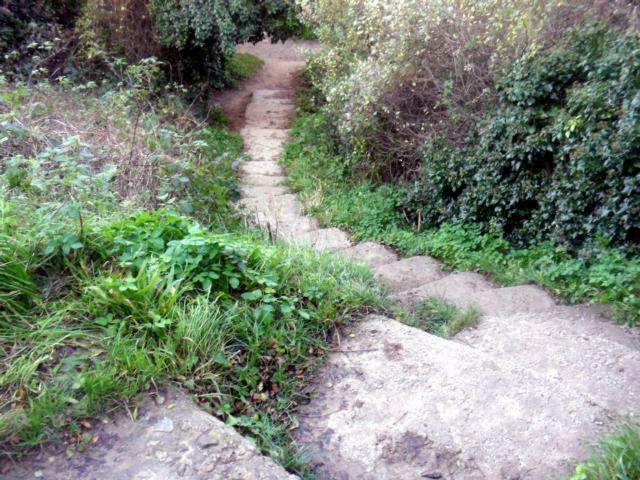 These steps lead down to the beach at St George's Cove. 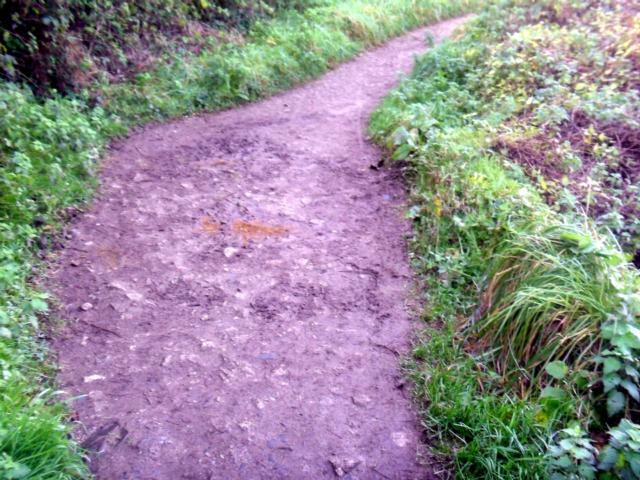 On wet days this part of the path can be muddy in places. At this point the path change from gravel to compacted sand and earth. 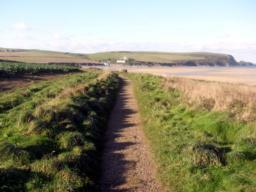 We turned around here and made our way back to Padstow. 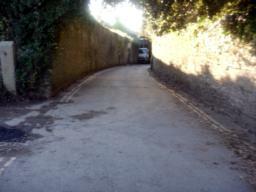 An alternative route is to take the path that forks right at the War Memorial keeping on the level. Turn left at the end of the lane. 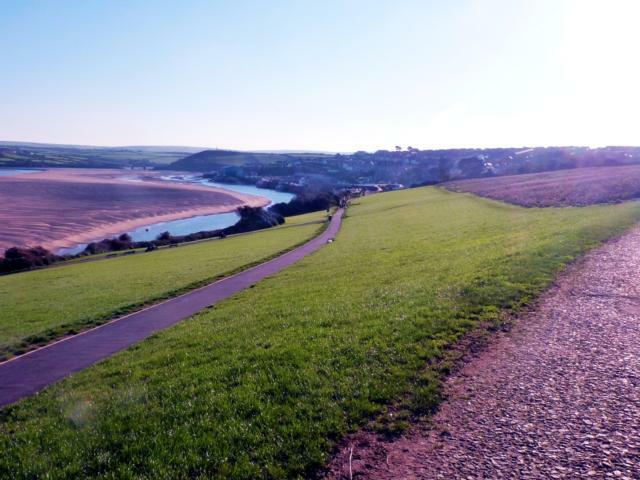 Make your way down the road back into the middle of Padstow. 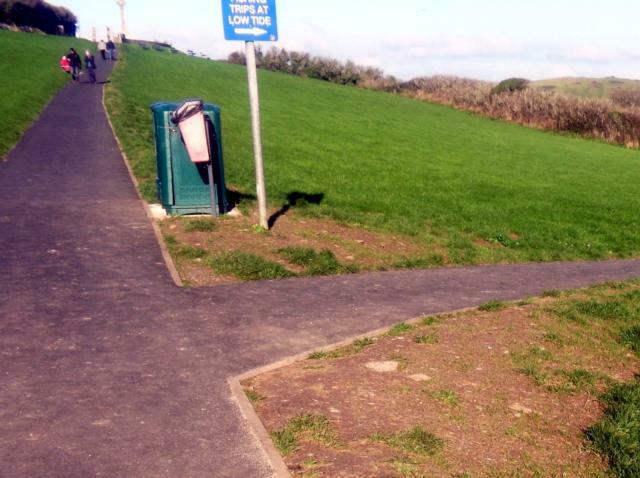 Beware of some steps at the end of the pavement on the left. 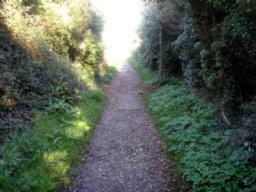 We walked along the quiet road.